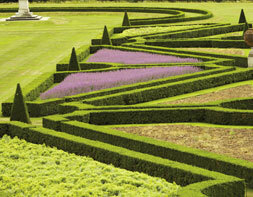 Garden Design Principles by P. Allen Smith is a perfect musing to start spring. Spring hit early and is in full bloom here. All of my containers are already planted… I do not remember a year previous that I was completed in March! Last week I attended an Outdoor Living Extravaganza at Minter Gardens with Floral Designer Lynne Woods. It was a wonderful day of seminars and lunch organized by Proven Winners. Aside from the rather early start to get to Minter Gardens for 9am, we thoroughly enjoyed the day. 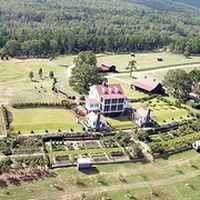 Award winning designer, garden expert and television personality P. Allen Smith spoke on design principles and creating WOW entryways. 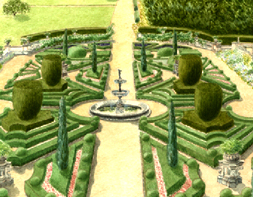 Allen is a fourth generation nurseryman and went to the University of Manchester to study garden design and history and is a member of the Royal Horticulture Society. His beautiful home and garden is located near Little Rock, Arkansas. 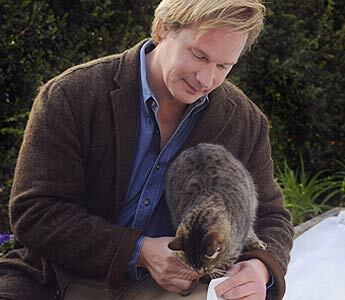 P. Allen Smith and his cat Marge in the garden. Garden Design Principle #1 – get the garden structure or “bones” in place. 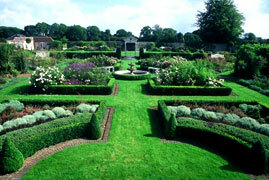 Create “garden rooms” as in his garden above – his property is divided into nine separate gardens. 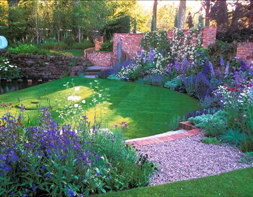 By dividing up a property into smaller, separate gardens you get a sense of enclosure. 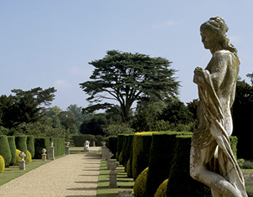 Allen loves hedges for definition and backdrop – especially clipped boxwood. Garden Design Principle #2 – Accent Entryways – create a focal point to enter and exit one garden to another. 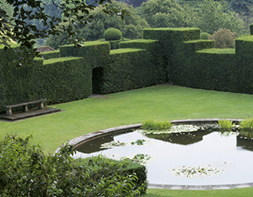 Garden Design Principle #3 – Symmetry is is important. More important is visual balance. 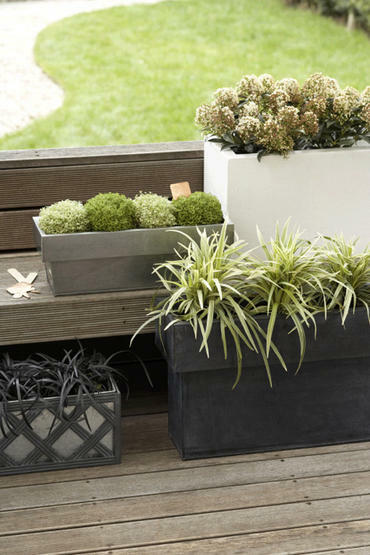 Garden Design Principle #4 – Visual impact by grouping things together. The idea of massing. 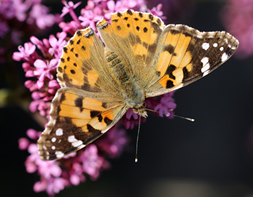 Garden Design Principle #5 – It is key to keep a colour theme. All colours must work and blend together throughout. 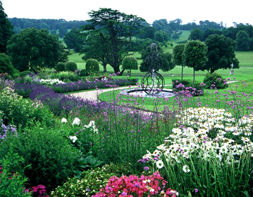 Garden Design Principle #6 – Repetiton creates impact. As an Interior Decorator whom has always liked to plan and work in her own garden, it was excellent for me to appreciate the parallel of Garden Design Principles and Interior Design Principles — GOOD DESIGN is GOOD DESIGN no matter the application!!! Design with the end in mind. Recognize the economy of a plan. Buying what you need. 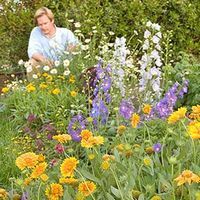 Years of buying annuals every spring is money that could have been invested in perennials and shrubs for the same cost over time. P. Allen Smith is the author of 5 books. I purchased his most recent one “Bringing the Garden Indoors” which he was kind enough to sign for me.